Shehu Sani, the Senator representing Kaduna Central has called on President Muhammadu Buhari i to reveal names of those who were desperate to be Vice President and wished he was dead while he was in London. The President at an interactive session with the Nigerian Community in Krakow, Poland described the authors of the confusion about him as ‘‘ignorant and irreligious’’. 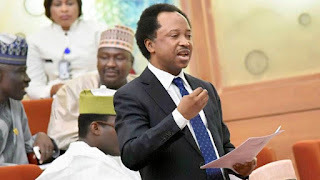 But, reacting, Sani took to his Twitter page, calling on Buhari to state those who were desperate to become Vice President while he was in UK and responsible for spreading cloning allegations.